Guitarcast | Take Command of Your Fretboard! Take Command of Your Fretboard! This course teaches exciting new pieces, invaluable musical concepts, and an understanding of the fretboard to help you build your guitar playing to new levels. Starting from the basic chord positions, guitarist and educator Woody Mann walks you through ways to “play off” the chords and extend the positions up the neck using smaller shapes, double stops and single lines. He teaches ten foundational pieces, including four compelling gospel songs he learned directly from Rev. Gary Davis. Other tunes utilize licks and styles of Lonnie Johnson and Eddie Lang, along with Woody’s own jazz-inflected fingerstyle compositions. Woody deconstructs each piece, providing a virtual toolbox of techniques that will build a true understanding of your instrument. His “piano style” approach to fingerpicking - the thumb emulating the left hand bass notes and the fingers playing the right hand melody - will help you develop a true “two-handed” style on the guitar. Tunes: Hudson River Boogie, Sunset Lake Rag. It Is No Secret, There’s Destruction in This Land, Lonnie’s Guitar, And Three Not Four, Death Don’t Have No Mercy, Mean Old World, A Little Love and Kiss and We’ll Be Alright. Among guitarists and critics, Woody Mann is considered a modern master. While the blues are his touchstone, he seems to draw inspiration from every direction, blending a myriad of influences with ease and grace. Pioneering guitar legend John Fahey said it well: “You can hear classical, jazz and blues approaches somehow converging into a single sparkling sound – a sound completely his own. Woody takes a fresh approach to his blues re-creations and his own compositions defy category." Woody received his first musical schooling in the living room of Reverend Gary Davis, the legendary blues, gospel and ragtime guitarist. Mann complemented the tutelage of Rev. Davis with formal training at New York’s celebrated Juilliard School. In addition, Mann completed a period of intense study with noted Chicago-born pianist Lennie Tristano, who introduced him to the world of jazz and its infinite possibilities. Mann’s reach as a teacher and writer has been sweeping; he has been a faculty member at the New School in New York, conducted workshops and master classes throughout the world, founded International Guitar Seminars and schooled countless guitarists through his many instructional books and DVDs, including “The Art of Acoustic Blues Guitar” DVD series, “The Complete Robert Johnson”, “The Blues Fakebook”, and “Lisboa – the Guitar of Woody Mann,” a collection of his original compositions. 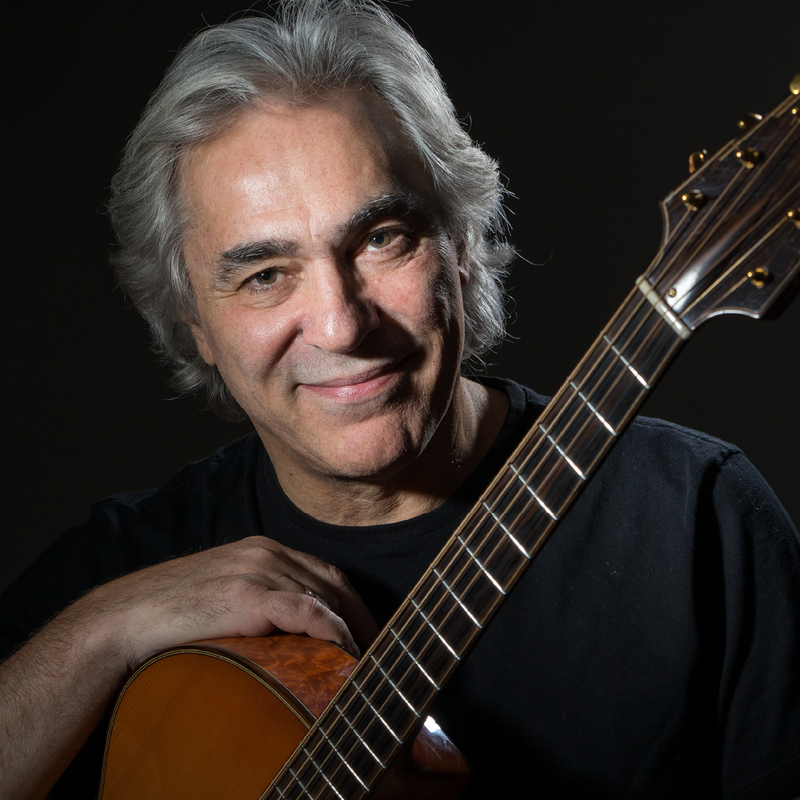 He has also contributed to Acoustic Guitar magazine, Guitar Player, Guitar World, and gave guitar lessons to Paul Simon.